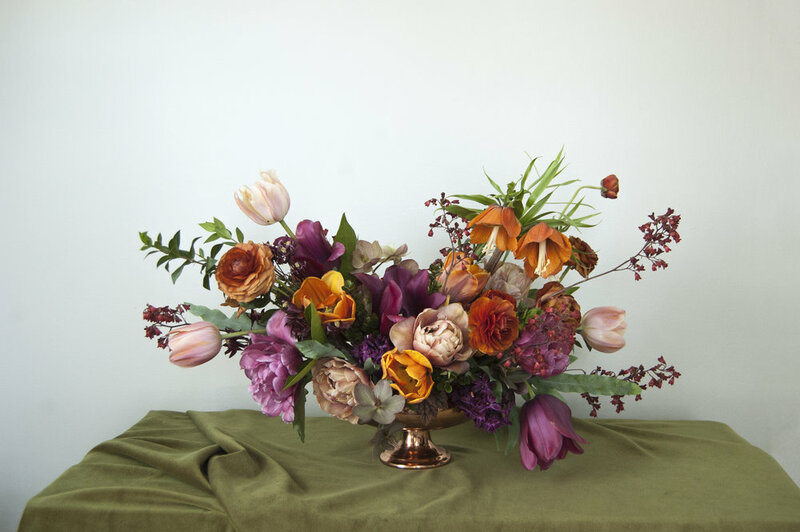 Floral Design — The Windflower Design Co. I find so much joy and reward in designing the flowers for your celebrations. From weddings to showers, it's a real treat to get to adorn an event with beautiful blooms. My goal is to create something that reflects you; a portrait in flowers. I'm passionate about supporting local farmers and buying what's in season. I find my own garden to be a rewarding adventure. Mixed in this collection are some of my favorites from events and personal designs. It's a creative time I set aside for myself to explore new color combinations, different shapes and styles while working with what's blooming in the yard, at my favorite farms, and a goodie or two from the wholesalers.